Welcome to Giebenhain Dental Associates! Dr. Giebenhain and his staff look forward to meeting you and caring for your dental needs.Your first visit to Giebenhain Dental Associate establishes a vital foundation for our relationship with you. During the first visit, we make sure to obtain important background information, like your medical history, and give you time to get to know the doctor and staff. To understand what to expect for your first visit to our practice, please keep reading - you'll find all the practical information you need, such as a map and directions to our office, practice hours, payment policies and more. We will include time at your first appointment to fill out new patient forms. Please bring your insurance information and any additional information you may have about your plan's coverage. If your previous dentist has current x-rays, please call them and request that they be transferred to us. 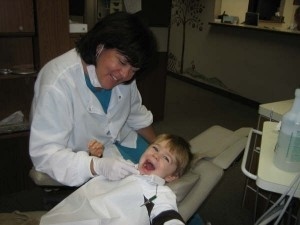 (Our address is Giebenhain Dental Associates, PA, 5851 Duluth Street #103, Golden Valley, MN 55422). You may need to sign a release, so please be sure to call with as much time as possible before your appointment with us. •Actively listen to those we are privileged to serve. •Offer treatment plans that are in keeping with your personal needs and financial abilities. •Ensure a professional environment that is creative, compassionate and friendly.